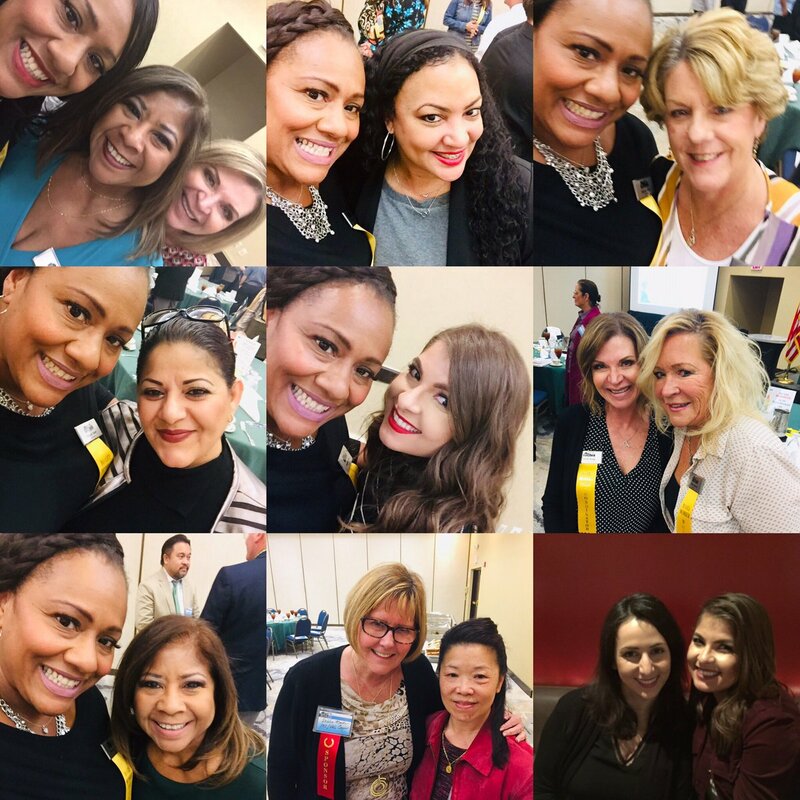 For more information about membership and corporate sponsorship opportunities, please contact Kay Toliver at (909) 303-7960 or kay.toliver@towill.com. BDA/IE meetings are held on the 4th Tuesday of each month (with the exception of November and December) at the Ontario Holiday Inn, 2155 E. Convention Center Way, Ontario, CA. 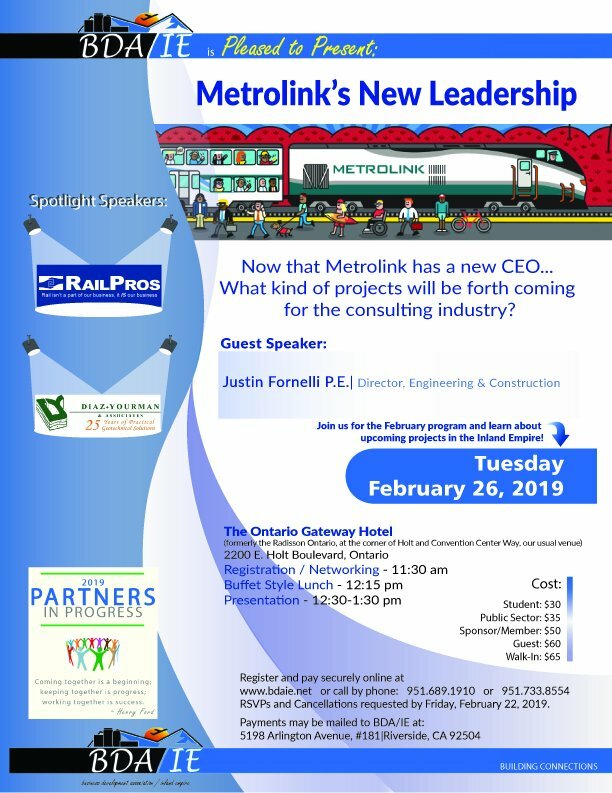 Registration/networking begins at 11:30am, luncheon at 12:00 noon and speaker presentations at 12:30pm. Jul 25 - Mixer: "Beer Wine & Bingo"
Monthly meetings are formatted to allow time for making new contacts and cementing exiting working relationships. 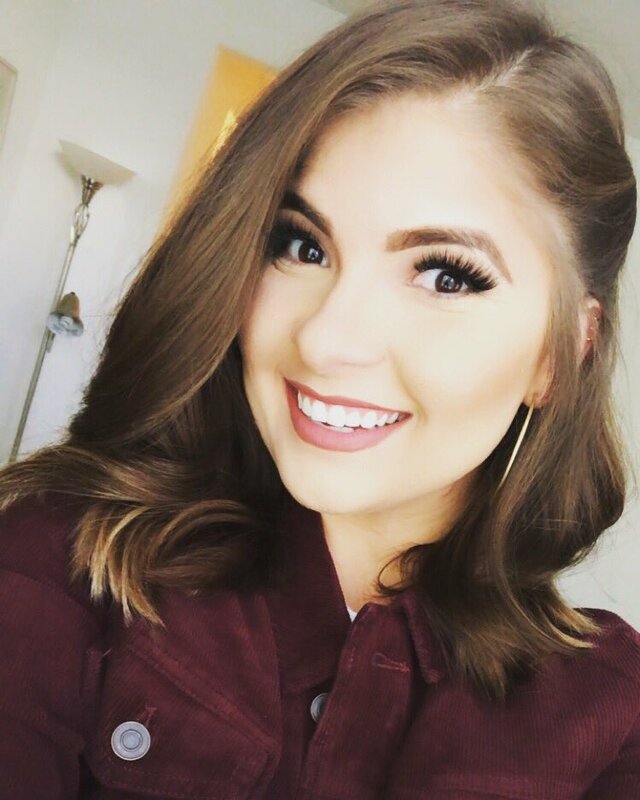 In addition to business development/marketing professionals and professionals who market or do business development, our meetings draw representatives from public agencies and the private sectors throughout the Inland Empire and Southern California. #BDAIE You can still sign up today for this amazing event! 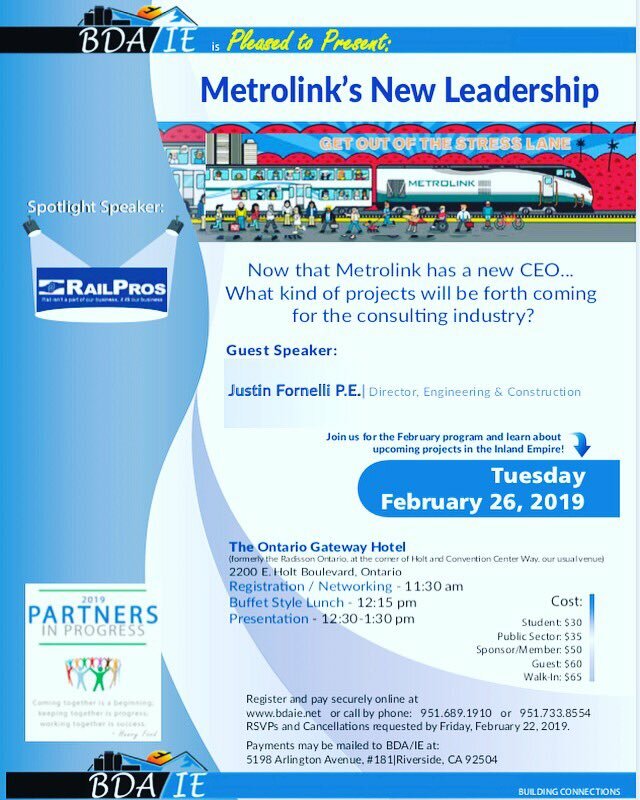 We present Metrolink's New Leadership Justin Fornelli What kind of projects will be forth coming for the consulting industry? Copyright © 2019 BDA / IE – Business Development Association of the Inland Empire. All Rights Reserved.